“Community as Curriculum“, in: D. Araya & M.A. Peters, Education in the Creative Economy: Knowledge and Learning in the Age of Innovation, New York: Peter Lang, 2010. This text is an extract of a forthcoming book ((Spring 2010) Education in the Creative Economy: Knowledge and Learning in the Age of Innovation, a book edited by Araya and Peters and Published by Peter Lang. This classic scene from the 1967 blockbuster The Graduate illustrates the assumptions and premises of the traditional twentieth-century ontology of work and knowledge. The scene paints a world where access to knowledge is privileged, access to mentors and inside information key, and getting in on the inside of the next big thing a one-time stroke of luck on which an entire successful—and linear—future could be built. The film reflects the prevailing understandings of its era, including that a future could be chosen at the start of one’s career. In the scene, Benjamin Braddock, twenty-one years old, recent university graduate and star student, stands uncomfortably in his parents’ living room being grilled by their peers about what he’s going to do with the rest of his life. The enigmatic Mr. McGuire lures him aside in a semi-satirical performance that emphasizes both McGuire’s delight in his own power and the bewildering weight of the choice ahead of Benjamin. The magic word that McGuire dangles promises Benjamin entry into a cabal of people who know who hold the future. As viewers, we can apprehend Ben’s dilemma and the critique implied in McGuire’s over-the-top delivery because the roles and the beliefs they were built on still carry power in our culture and particularly in our educational systems, where knowledge as a commodity with structured, gate-kept access paths to success is still a powerful narrative. Benjamin Braddock has the package he needs to succeed in McGuire’s world. He knows how to access the world of knowledge through the books and journals that live in the library at his university. He knows how to work with experts, receive the knowledge and expertise stored in their heads, and serve that back in a format that meets specific requirements. Ben has acquired an education, and now it can be put to use. He has a store of knowledge and the requisite skills to acquire more. Even as the final act of the film closes with Ben’s rejection of convention and the world offered by Mr. McGuire, viewers are left with the assumption that he will be just fine. Benjamin Braddock is positioned not to fail. This idea of learning as something that can be bought, acquired, and then completed is deeply ingrained in popular culture. It is a comforting model. If we are to believe that learning is as simple as this, then at any given time, we can simply find the “way to do something,” pay the requisite fee to acquire the knowledge in question and then go about applying it to our lives. If we are in a field like, say, plastics, we need only be able to tell one plastics knowledge salesman from another. If we are clever or choose a reputable institution of plastic sales, we will have the item that we need and will be able to progress a little further down our chosen path. The model implies that there is a way to know what the answer might be, and that a person (our plastics expert) could have this knowledge, and that the knowledge can then be acquired by a learner. In addition, most importantly, once the knowledge is acquired, the learning is finished. It is a simple model. Unfortunately, it is false. If it ever worked, it will not work anymore. The promise of the twentieth-century model of knowledge is an empty one today. As the job descriptions of traditional professions change and diversify, people are realizing that the myth will no longer hold. There will be no more “plastics” salesmen. A manager might also now be a social media strategist, administrative assistants are becoming Web managers, and mechanics are plugging computers into cars. Where once universities and colleges would market to an established clientele and rely on word of mouth and prestige for attracting students, they now market to the globe and find themselves in need of types of literacy that were hitherto the province of embassies and multinational corporations. In this climate of change and adaptability, where money is being spent on “making things digital” and “making people ready for the digital age,” how does one know how to guide one’s professional course? How can one choose learning opportunities that will contribute to success? How is the policy maker to choose between options, either of which are potentially equally likely to succeed, and both of which are being presented in terms that break current frameworks of judgment? Often the answer to these questions has been, simply, “more.” More training, more work, more hours spent in the office. More research, more money spent on research consultants. The training is too often too short, too boring, and too old-fashioned. The consultants are expensive, difficult to find, and come with no way to accredit their advice. People turn to passing fads in an attempt to stay current without the necessary experience or context to be able to make informed, professional decisions about them. This is the climate that is now demanding a new way of learning and a new sense of what it means to learn. The implicit lessons of our educational system are still twentieth-century lessons: being on time, attentiveness, focus on single tasks, completion of tasks outside of context, and, perhaps most importantly, completion of tasks without any sense for why they are being done. These are the preparations for effective labor in the Dearborn factories of Henry Ford in the 1910s and 1920s. These are the skills for the members of a workforce who were not to sit down, not to stray from their task and earn their time in front of the fire from a hard day’s work. They are preparations for the industrial revolution. Most of us have, in spite of ourselves adjusted—at least incrementally—to this transmission-focused military model of education. There is a sense in many educators’ minds that learners need to explore their way through their learning, and have the experience of learning, of searching out ideas and discovering them for themselves. This process, though, is usually bounded by the learning objectives laid out at the beginning of the course of study by the designer/instructor. There is still, implicit in most widely held conceptions of learning that the instructor, designer, or at least the institution knows what a learner should get out of a given course. The problem, then, only comes into play when we are not sure what “people should be learning.” What is the curriculum for innovation? How do we impart creativity? Where do students turn to be guaranteed that they are learning what is new and current? These are the questions that face us on a more or less regular basis now. As knowledge becomes a moving target and the canon starts becoming less reliable, we need a new—or in fact an old—model of education drawn out on a new canvas: community. The answer is to stop trying so hard, to stop looking for a systemic solution, and to return to a human-based knowledge plan. We need to return to community as a valid repository for knowledge, and away from a packaged view of knowledge and expertise. Knowledge can be fluid; it can be in transition, and we can still use it. We need to tap into the strength provided by communities and see the various forms of community literacy as the skills we need to acquire in order to be effective members of those communities. Community as curriculum is not meant as a simple alternative to the package version of learning. It is, rather, meant to point to the learning that takes place on top of that model and to point to the strategies for continuing learning throughout a career. There is a base amount of knowledge that is required to be able to enter a community, and there are methods for acquiring the specific kinds of literacy needed to learn within a specific community. A learner acquires basic forms of literacy and associates with different peer groups. Networks begin to form and, occasionally, communities develop. Knowledge is created and sometimes discarded as the community interacts. Knowledge does not develop and spread from and through concentric circles. There are no “plastics” to be learned and no canon to consult to ensure that a new skill has been acquired. Knowledge is a rhizome, a snapshot of interconnected ties in constant flux that is evaluated by its success in context. We need a move toward a more practical, sustainable learning model that is less based on market-driven accreditation and more on the inevitable give and take that happens among people who engage in similar activities and share similar forms of literacy and worldviews. The rhizomatic view of learning reflects an organic, practical approach to thinking about learning and knowledge. It has a distinct connection to the traditional academic knowledge model, with its interlinking references and people. Each piece of information and knowledge is interlinked and supported by at least one other element, with no one place where knowledge about a matter begins or ends. The rhizomatic model, in contrast to the academic one, keeps the knowledge in the people and in the community rather than distilling it into a paper based product – be it the final publication of a journal, book or other ‘changeless medium.. The problem with the paper publishing cycle is the time it takes to proceed through the entire cycle, and the constraints on time and space that go along with the medium place severe restrictions on the flexibility and applicability of the academic tradition. It is not to say that it is not valuable, just that it does not always—and cannot always, today—respond in ways that meet the needs of learners in a world where what is known in many fields changes from month to month. If we are working in a field where what is new or current is continually in flux, then we need to have a way of keeping our knowledge up to date. With the huge increase of academic publications, the simple process of choosing has become more difficult, and the sifting through what is out there a significant task for any professional. Our ideas of learning and knowledge need to become more flexible to allow for this mutability. “The term [rhizomatic learning] encapsulates a sort of fluid, transitory concept; the dense, multi-dimensional development and integration of several different sets of tools and approaches, appearing in diverse forms under separate settings, using all the multidimensional networking information technology tools, the social web, etc.” (Szucs, 2009, p. 4). 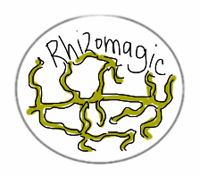 rhizomatic learning distributes the channels of knowing outside traditional hierarchical models and into the social realm, allowing for help in sifting through the flow of information and knowledge. These “social learning practices are allowing for a more discursive rhizomatic approach to knowledge discovery” (Cormier, 2008, p. 3). rhizomatic knowers use a variety of approaches and tools to blend together bits of information and knowledge in order to form what they need. They especially need a learning community to help them test ideas, filter information and knowledge, and seek advice. The skills that Benjamin Braddock—as a representative for his generation—learned for acquiring knowledge were listening, accepting hierarchy, and learning how to identify sanctioned bits of knowledge to apply to new situations. The traditional testing and identification model that Ben would have been accustomed to operated along principles of “here’s what you need to know and here’s how I’m going to know that you know it.” These notions of hierarchy, sanction, passivity, and external validity are all further victims of the social shift we are currently experiencing. As learning becomes about participation and knowing becomes a negotiation (Cormier, 2008), it is no longer as practical to approach learning with a pre-existing notion of what we are trying to find out. Instead, knowledge production becomes a participatory process based in communities, with members trying to solve problems, tap into existing trends or simply exploring by helping someone else. The problem of how we know what we are taking out of a community environment might be true or useful or might, in some sense, be seen as knowledge is at the heart of the change that is needed to cope with the accelerated speed of change. The knowing, then, exists out in the networks and should be seen in this rhizomatic way. It should not be seen as a network in a digital sense but rather as a culmination of the connections between people. Knowledge becomes a snapshot in time of what is known in a community on a given issue. Publishing is done in order to crystallize and make knowledge about the community public—as in “public”-ation. Its value is in its ability to reach out from the community to others, not in its inherent knowledge. In this rhizomatic model, the roles of the expert, authority, and reference in knowing all change considerably. A side benefit of this transition is the expulsion of the plastics salesmen, vendors of the “next best thing” that you simply must think about. Our plastics salesmen can no longer fall back on the old adage “research shows,” or simply show us a major corporation using a given product or method and expect us to want to incorporate it into our work. This being said, expertise and experience are still critical to the success of any community. Whether one believes in the 10-year-rule of expert-making (Ericsson, K.A., Prietula ,M.J., Cokely, E.T., 2007), a healthy community will work faster and move toward goals quicker when the people living in that community immerse themselves in the specific goals of that community. Novices certainly can come together to learn without the presence of master-style members, but the progress is likely to be slower. Access to pre-existing work on a subject and trial and error experience can be of great value to novices trying things for the first time. The negotiation of knowledge is going to be more productive if the people involved have access to the basic literacies for that field. Community is a kind of network. A learning community is a specialized version that inverts the normal pattern of responsibility from being responsible to oneself to being responsible for the learning of the people with whom one is involved. More specifically, one is connected to these people in a variety of ways, be it professional lives, social networks, or other settings. There is a sense, however, that work goes better when people are working together. They are sharing information, working together to learn new things or sharing experiences. In a professional network, “taking care of oneself” is what is considered appropriate; in a community, lending a hand and helping to make sure that others in the same community are learning is the highest order. This idea of learning, that it happens between people on a relatively flat hierarchy, is the antithesis of the world that our Benjamin came from. In his education, having the right connection and having acquired the right information from the existing canon was critical. In the learning community view knowledge is rhizomatic, and learning transactional. Joining any kind of community can involve a fair amount of research and time. Communities are about commitment. They are about responsibility rather than goals described by others. There are many interpretations of the word, many of which attempt to call on a possible past full of barnstorming, communal sharing, and mutual survival. There is another version of the word community that calls more to mind the inequality of high school group work, the inefficiencies of the communist farms and the tedium of the weekly meeting. There is no guarantee that a given community is going to work in a way that will satisfy every prospective member. The definition of community used here differs from both of those archetypes in the sense that it is about choice. A choice to be responsible to a group of people and a choice to join in with a group of people who, while they might not share similar distinct goals share equivalent mores, skills, or worldviews. They are, on some axis, on the same part of the long tail. Conventional instruction is based on a hierarchical model in which those who know teach those who do not know. As Cross notes, “Institutions of higher learning were set up with the express intent of attracting people who know and the tools of knowing into regional settings in order to allow for the building of centres of knowledge. Students would come from outlying towns to come to the locus of this knowledge in order to get access to ‘those who know’” (Cross, 2005, p. 5). Communities, then, become this same kind of regional settings, allowing different kinds of members, some centrally invested and others peripherally so, to interact in centres of knowledge. The difference is, of course, that knowledge is negotiated in time. As this knowledge is negotiated, it is spontaneous rather than reified in books or articles. “Learning together depends on the quality of relationships of trust and mutual engagement that members develop with each other, a productive management of community boundaries, and the ability of some to take leadership and to play various roles in moving the inquiry forward” (Wenger, White, & Smith, 2009, p. 8). The creation of a community in and of itself is not sufficient to guarantee the kind of life- long learning that promotes creativity in a professional context. Indeed, the creation of a community is often the easiest part of the process. It is important to understand, from each learner’s point of view, the goals he or she is to achieve as well as the available to obtain them. The two types of learning communities presented here reflect two differing directions for learning. They should not be seen as mutually exclusive but rather as different in control. The first, the guild model of community, offers more control and better options for accreditation and verifiability and is also the easier one of the two options. If a guild style community can be established, then it gives a single locus of learning. The other, the distributed model of community, i.e., multiple membership roles in multiple communities, offers far greater flexibility , though less control. It would be difficult for an employer to track learning in this kind of environment, or for learners to take guidance on what they should learn. A combination of these two is certainly possible, or the path might lead from one end to the other. Creating communities for learning is the first path that many people take begin to believe that the Benjamin Braddock model is failing them. They are looking for a connection between the organized world of learning and the new connected world of the Web. Indeed, there is a sense that a classroom can be this way. The community versions of these kinds of classrooms emerge around a particular topic or perspective and grow and adapt along non-institutional lines. We also see the same in different social communities that occur around different topics and fields online. They do offer a number of very significant advantages—perhaps the most important being quality control. A look at traditional guild models and how they deal with issues of quality control offers an interesting perspective to the current open classrooms and social networks. The members of the guild, be they a representative organization or a classroom, are constrained by a charter, social contract, or syllabus that defines the things that are done and known inside that community. It both allows for observers of a community member to know what that member is likely to know and allows new members a better sense of how they can get involved. There are observable dos and don’ts that a person can follow in order to be more successful. People need to know who they are in their community. They need to know how to succeed. They need to understand the roles that are available and what it means to participate. Guilds can work, particularly when they are open and people think of them as part of the whole knowledge building structure. The ED366H Educational Technology and the Adult Learner classroom, a course I taught at the University of Prince Edward Island in the summer of 2008 was an attempt at putting the guild model community learning into practice. The goal was to create a sense of reliance and a sense of responsibility in each student toward the learning of their fellow students. The goal was not, however, to create some kind of community that would last past the time allowed for the course but rather to instill some of the literacies and demonstrate some of the advantages of community learning in the hope of fostering the desire to join or support community learning in their respective teaching environments. The course is a accredited by the university and designed to span 35 hours in a two-week period. The constraints of such a shallow time span had a considerable impact on the decision not to create a standing community. The course began with a day-byday syllabus that suggested broad topics of research for week one and broad topics for student lead demonstrations for week two. It took a people centred and, as far as possible within the required structure, a technologically neutral approach to introducing the idea of technology to the classroom. One of the interesting features of teaching this kind, of course, is that any specific information, terminology, technology, or even approach is likely to be partially or totally outdated by the time the opportunity for the learner to actually use it in the classroom has happened. The focus of the syllabus was entirely on the students learning to rely on each other to find paths through the tasks that were set out. Competency for the course was simple, the students needed to teach something to the rest of the class in the second week that they had never heard of in the first. During this process, they were required to create a textbook, together, of the things that they learned and reflect on the process throughout. The difficulty with the course scenario, however, is that the forced community tends to fall apart after the course. Many more formal attempts have been made to create this kind of community, but they face significant challenges. A case study made of the Education Network of Ontario illustrates many of the pitfalls of trying to sustain long-term interest and participation in an online community of practice. It was a 12-year project that began in the days of dial-up and, due to the inevitable challenges implicit in sustaining a long-term community, eventually ended in 2005. The guild style community, however, need not be an end in and of itself. It can be seen as a gateway to a more distributed, more flexible view of learning communities. It can be a safe place from which to set on our own or simply a trusted node in a widening network of trust from which communities tend to form. What the leaders of these guild style communities need to teach people, then, has little to do with content and more to do with actually using communities to learn. The community is, in effect, the whole of the curriculum. Its members need to experience what it can be like to learn in a community mediated environment and take that away with them so that they can continue to be contributing members to their knowledge rhizomes. Seeing communities more broadly and taking multiple community and network membership online/offline might be a sustainable community learning model. In a sense, this is what academia has been, as opposed to a simple guild model. The guilds learned and worked mostly with people from their villages or the rare traveler; academics had the written word on books, and they traded with them. They developed methods by which, at a distance, the community could judge the applicability of a given bit of knowledge to the overall field. The methods of quality control by peer review and citation are the distributed community in paper form; adding the Internet, matters start to move faster at a fantastic rate. The learner and the knowledge producer now can tap into a broad base of professionals in any field at the click of a button. There are professionals sharing their work at the time that it is happening, presentations being streamed online and data coming out from research long before papers are published. With connections through social networks it is possible to query the writers of professional works in order to get clarity, suggestions or confirmation about certain ideas or theories. We are also able to find other people who have the same degree of interest in a given subject as we ourselves possess. This concept makes Chris Anderson’s idea of the long tail so attractive. If we connect the whole world through social networks, then the people with very specific, very passionate interests will be able to collaborate. In Braddock’s world they would have accomplished their goals—had they been able to find each other, but now even simple searches will reveal people with whom specialists can form strong connections. The multiple memberships that make up online community participation can be overwhelming. Online participation can, from a technical perspective, include micro-blogging, bookmarking, blogging, Web cast memberships, and a host of other technical formats that require some degree of competency to participate. The key, however, is the varying layers of connection that they allow with the people who are actually present. Simply “using” the technology offers no particular benefit. Being able to participate in live knowledge building on a daily basis with a group of peers, on the other hand, is a privilege of the so-called digital age. Having members of a community involved daily in activities of the digital age l means teaching them to network first, to assess ways in which their networking can grow into relationships of trust that allow them to rely on people to care about their learning and about their success and where they learn how to judge people’s opinion. They will, in a sense, have to become sensitive to the ways in which knowledge can be acquired, created and validated along the rhizomatic view. Edtechtalk comprises a community of educators who come together in various ways on a regular basis to share their expertise and experience with each other. It is “a community of educators interested in discussing and learning about the uses of educational technology” (Edtechtalk, 2009). My community learning experience started with Edtechtalk. My relationship to it and membership in it has changed and morphed over the last four years, but it has consistently occupied a very important place in my learning world. It is both a locus for the guild model of learning in the structured weekly programming and the inner core of producers of shows that works together and is also a distributed model of learning in the way that it becomes a locus for less central members to come together, meet others, and move on to other projects. The problem, however, is that these are emergent communities. They are communities with no direct goal and have not been created by an entity with the specific goal of “learning.” It is a learning community that was created out of an event are sometimes created out of an existing event, as the Web heads were in 2002 and continue to be a strong supportive community. However, they are difficult to create on purpose to solve a particular problem. The focus of this kind of community learning needs to be on the people and on the specific context of those people. There may be circumstances where much of this kind of learning would be face to face, where it might go in waves, or where it might be entirely online. This need not have a profound impact on the success of the learning experience. Each venue or platform, be it a Multi User Virtual Environment or a coffee shop offers different advantages and disadvantages. In either case an eventedness is offered to the student who can take them out of their context (Cormier, 2009, p. 545). Certain matters may be resolved easily in one situation, whereas in another situation, the same matter may prove to be a lot more complicated. More specifically, each matter needs to be seen in its individual context. There are problems, necessarily, with this kind of approach. For example, if a number of practitioners, who are still in need of experience, attempt to band together without access to the “trails” of more experienced practitioners, they could be in for a very difficult and time consuming learning process. This kind of approach is in no way going to appeal to all people and be ideal to all situations. There are some buttons that are blue that need to be pushed after the yellow one. While there are any number of potentially important community lessons to be learned around this concept (how to sit when doing so, what to do if the yellow button is missing), there are times when the training path is simply a question of acquiring certain simple facts. More broadly, there are objections that affect this kind of learning… as Mr. Szucs noted “We should notice that the strength and the weakness of this approach is at the same time, that the content and the competence are legitimated by the collaboration in the networked system” (Szucs, 2009, p. 4). Another place where online communities can get into trouble is the over-focus on the digital element. Much ink has been spilled in discussions of digital literacies and how they are critical to the survival of the twenty-first-century professional. Indeed, these literacies are important and are comparable to the effective use of the pen, train, or conference hall in the twentieth century. The digital landscape is yet to be painted, not necessarily in terms of contents but in terms of the medium that is used to “paint” digitally. The medium has a huge effect on what can be done and a more subtle influence on what does get done. The world that rhizomatic learning commits itself to is a far less secure world than the one presented to Benjamin by Mr. Macguire. He would have us believe that the future is a novel, can be seen, learned about, acquired, and put in the bank against an uncertain future. What we are acknowledging here is that the future is uncertain that we do not know what we will need to know, or who will know it. We are committing ourselves to people, not to specific bits of knowledge or information and hoping that our commitment to those people will keep what we know relevant, and keep us above water. We can create communities, out there in the online space. By far the easiest way of creating this kind of community is to use find a Web based community that already exists. As the decision of “what” to learn, that is, the problem facing most professionals in the workplace today, it is probably easier to start one’s learning inside a guild community model, where the literacies for community are easier to learn, and while the idea of “knowing you know” is a bit easier to manage. Wenger, E., White, N., & Smith, D. (2009). Digital habitats: Stewarding technology for communities. Portland, OR: CPsquare. Oh my, I feel like such a grown up to have our book quoted. Vanity aside, you know I’m pretty much in total agreement with your philosophically. What I’m VERY worried about is that this is a new divide – a learning divide between those who can and will have diverse jobs, mobility, some level of control of their own lives. It is far divorced from the reality of service workers which make up an increasing percentage of the workforce in N. America and MOST of the workforce in the 2/3rds world. What should we think about that? That is an absolutely critical point… and the divide isn’t purely socio-economic. it also includes many people who are in positions that are traditionally seen as professional but will slowly get phased out. It’s difficult to make people ‘care’ about learning. It is also difficult to explain how community can support people in their learning when people are so tied to objectives and results… ones that are clean and measurable. I’ve often bemoaned the fact that, in general, people remain uncommitted to scenarios where they are not financially invested in an issue. You might say, actually, that the socio-economic arguments around class and the feeling that a person’s time is equivalent to money come into play here. If you see your time as sectioned off, and you judge importance by things that you are paid for or that YOU pay for… community learning is a tough sell. The jump to understanding that all your time is created equal (from a certain perspective… on i might add that doesn’t include essentials like feeding your family) is required for understanding that your long term interests, financial or otherwise, are fundamentally connected to your ability to learn and learning is becoming more and more about the network (community or otherwise) that you are involved in. I’m wondering about the language we use. What if the above chapter was written from the perspective/in the voice of a 16 year old working at McD’s? Community learning suggest to me that we also need to talk about community assessment of learning and community credentialing. I’m wrestling with your thought that community learning sits over top of existing models for developing foundational learning needed to enter a community. Dave, I think this moves the discussion of rhizomatic learning into a practical realm that my own discussion sorely lacks. This is where the conversation has to go, I think, if educators are to find the rhizome useful. Thanks for showing the way.